Insert muzzle erosion gage into muzzle. Gage must not go beyond applicable rejection mark. There are two rejection marks, "A" and "B." Use rejection mark "A" when the barrel is being gaged without the flash suppressor assembled. Use rejection mark "B" when the barrel is being gaged with the flash suppressor installed. If muzzle erosion gage goes past the applicable rejection mark, the barrel is unserviceable. For chrome barrel, use barrel erosion gage 8448496 and install bolt earn ind key assembly with bolt assembly and firing pin removed. Insert gage into rear of Key and Bolt Carrier Assembly. 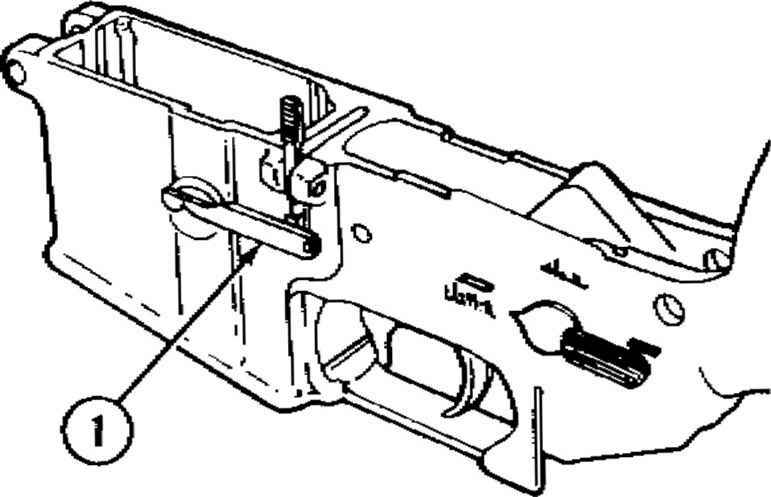 The reject line must be read at the rear edge of the Key and Bolt Carrier Assembly. If the reject mark passes beyond the rear surface of the bolt carrier assembly, the barrel is unserviceable and shall be replaced. Check straightness using stralghtness gage 8448202. Put gage in barrel. Tilt barrel and allow gage to fall through. Catch gage. Gage must pass freely through barrel. 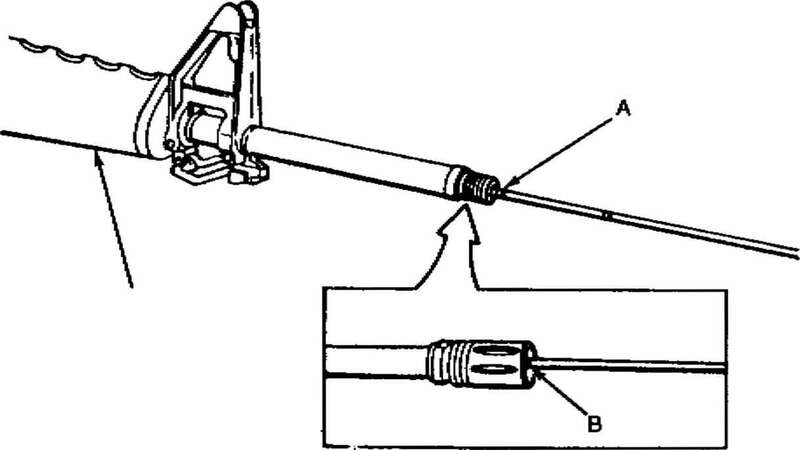 If the gage does not pass through the barrel, the barrel is defective and and must bo replaced.